Birding Is Fun! : Birding is More Than Fun! It's Fabulous! Hello, everybody! I’ve been invited to be a contributor here at Birding is Fun. As a mediocre birder and equally uninspiring photographer, I feel somewhat out of place. However, that will not stop me from introducing myself in the most narcissistic manner possible: by interviewing myself below. The "you just got too close" look from a Red-tailed Hawk. Me: Thanks for sitting down to answer a few questions, self. So, how’d you get started birding? Me: I got started late. It all kind of happened gradually during my mid-30’s. My wife Sarah and I have always been nature-lovers and travel-lovers. I call myself an ecologist. And I grew up loving to make lists and look at maps. I suppose all of that made it inevitable. It’s a wonder I made it 35 years before becoming a birder, really. The seminal moment came one winter night after a trip to Florida which had followed a summer road trip from Michigan to Washington’s Olympic Peninsula. I casually said something to Sarah that would change our lives. “I think I’ll make a list of all the birds we’ve ever seen.” It all seemed so innocent at the time. But somewhere on birding’s Olympus, the gods heard me use the L-word that day and knew it was over for me. Henceforth all of my disposable income would go to optics, I’d start caring when sewage plants were open to visitors, and I’d do irrational things like traveling to northern Minnesota in the middle of winter and southeastern Arizona in the middle of summer. That list had a whopping 88 birds on it. The funny thing is, as an artifact of our travels and focus on some rarities with no regard for common birds, we had birds like Marbled Murrelet among the first 88. We got the murrelets on a kayak trip off of Lopez Island in the San Juan Islands of Washington. We went to Newfoundland not long after that and enjoyed the birds there, adding even more alcids to the list. Still, birding wasn’t the focus of the trip. But when I was adding them and saw that we had gotten these things birders called lifers in Montana, Washington, at home in Michigan, North Dakota, Florida, and Newfoundland…I was hooked. The geography nut, the ecologist, and the list-maker in me all suddenly collided and became a monster. What if we took a trip focused on seeing as many new lifers as possible? There are listservs that tell you when cool birds are in your area? There’s a citizen science project called eBird? At this point I was drooling. 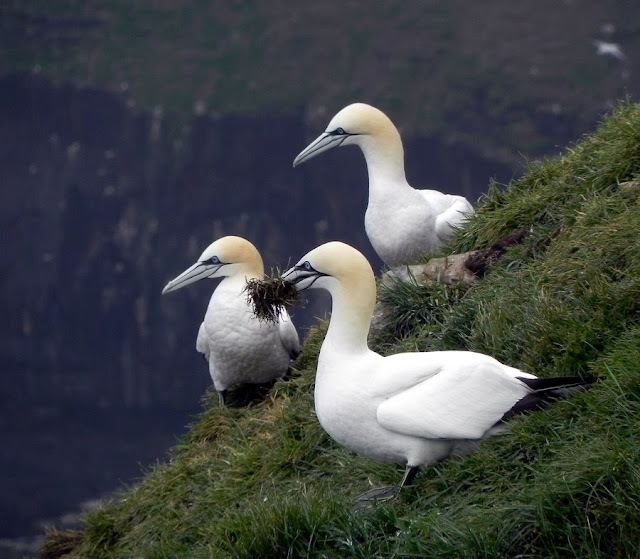 Northern Gannets during nesting season at Cape St. Mary's Newfoundland. If I had to pick a favorite birding spot in the world, this may be it. Me: You’ll be 40 next week. 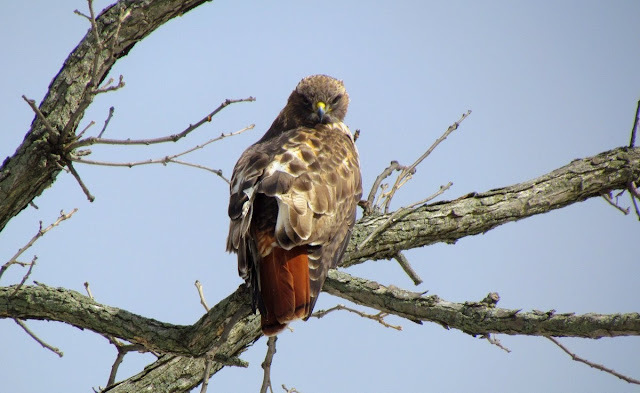 Have you become a good birder? Me: I’m not the country’s best birder, nor Michigan’s best. I’m certainly not in the Top 10 of Ingham County. Come to think of it, I’m not even the best birder in our house. Sarah is so much better than me at ear-birding and tracking by sound. So, yeah, I’ve given up on ever becoming a great birder. My goal is to become a world-class advocate for conservation of nature vis-à-vis hobbies like birding. That’s easier to do than identifying flight calls at night with bad hearing. Me: What’s your favorite bird? Me: This might be the dumbest question for a birder to ask another birder. Me: That’s fine, I’ll answer it anyway. Sarah and I always said our favorite bird was the last bird we saw. We were saying that before I started interacting with other birders and realized everyone says that. Like most clichéd answers, though, it’s true. I do have favorite birds in each family: Reddish Egret is my favorite heron, Henslow’s is my favorite sparrow, Black-and-white my favorite warbler, etc. 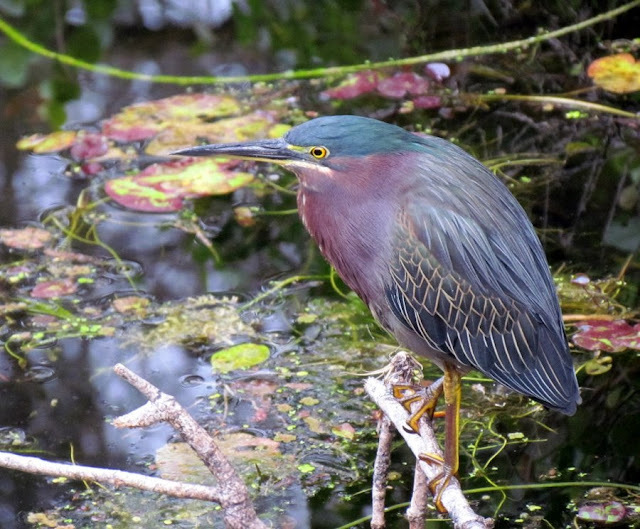 I don't know that I really have a "spark bird", but Sarah and I spent many summer evenings watching a Green Heron fish a local pond before we were birders. That was definitely "sparky." Me: What are you birding goals? Me: Mostly I just want to get people involved in the hobby and turn them into people that care about conservation. At one point I was hoping to see every woodpecker in the world. That’s not going to be easy. My 20-year goal is to see 100 birds in each of the 50 United States. That will also be difficult, as getting 100 in many states during a short trip (passing through in a day) requires you to be there at the peak of migration, and there are a limited number of migrations over the next two decades. I’m setting a stepping stone goal of 50 in 50 now. Even if I fail, I’ll be entering lists at eBird like a madman, which is good for the birds. Me: You keep mentioning eBird. Me: That’s because everyone should be using eBird. It’s a spectacular citizen science effort that really makes a difference, and it only gets better as time goes by and the data builds up. It’s not a perfect system, but I have yet to meet a perfect birder. I know some birders that refuse to use eBird because of disagreements with their reviewer. I wish those people would shrug it off and keep entering lists. It’s the list after list of commonly seen birds at the same locations that make a big difference in the database. If your reviewer says there’s no way you saw a Pyrrhuloxia in Manitoba, but you know you saw one, just let it be. Don’t deny the database all of your other valuable information because a few of your rarities aren’t accepted. 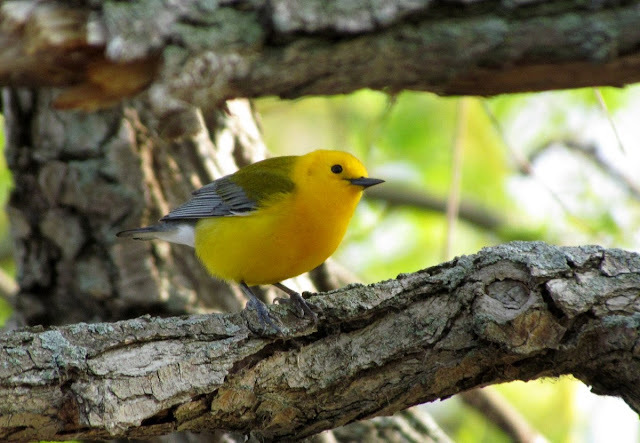 If you see a Prothonotary Warbler in the Yukon Territory, document it with a photo! This one was where he belonged, Magee Marsh, Ohio. Me: What do you love most about birding? Me: Another dumb question! I love all of it! Having an excuse to travel to places I wouldn’t otherwise go is wonderful. Meeting other people of like mind has been great. Birders tend to be really interesting people, and that’s a high compliment coming from a self-proclaimed misanthrope like me. I think the best thing is getting to know the birds. I mean really know them. Anyone can learn their names. Lots of people know my name but they don’t know me. When I get a new lifer or run into a bird I don’t see often, I always review their ecology. Why are they here? What do they eat? How do they interact with other life around them. A friend of mine often repeats something he heard somewhere: Birds don’t live in a bubble. I cannot, and wouldn’t want to, look at a bird and not put that bird in the context of everything else in the ecosystem I’m invading to get a look at it. I got some great interaction with pairs of Summer Tanagers at the Oak Openings Preserve west of Toledo this spring. They specialize in eating wasps. Supposedly a pair of Summer Tanagers moving into an area can harass a wasp nest enough that the whole colony packs up and moves. How cool is that? Not so great for the wasps, I suppose, but it makes the Summer Tanager so much more than just another pretty cardinal. This is not a Summer Tanager, but the closely related American Alligator. 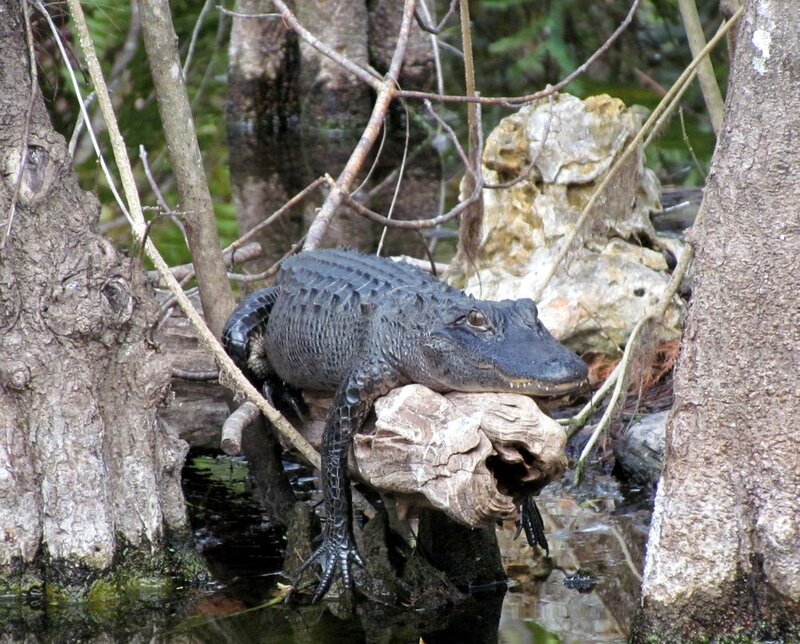 This guy was hanging out with me watching egrets in Big Cypress Preserve, Florida. Every bird has a story. My life list is a collection of stories. Each entry represents the intersection of two journeys, the bird’s and mine. I sometimes look at the list and recollect where I was and what I was seeing that day. I always remember to thank the bird for crossing paths with me and allowing me to spend a little while in its world. That’s what makes birding fun. Wishing you an early "Happy Birthday".... and hope you see a new bird to add to your list. You say you're not a real birder... you lie! Great photos AND writing! Welcome to the team! It's strange how this birding thing sneaks up on people:) It's a whole lot of fun, with moments of high 5's and other moments of disappointment while dipping on a bird....but that's all part of the excitement:) Great interview with wonderful pics. I think birding is all good for the brain and preventing memory loss:) You're right....every bird has a story and adventure that goes with it. I also got started in my late 30's and now in my 40's, life has gotten pretty exciting again:) Welcome! What an enjoyable first post! Your interview was entertaining and your photos are fabulous:) The gator found the perfect log to kick back and relax on! Hi Kirby, I am glad you got invited!! Loved reading your introduction - you are offering a lot of good birding ideas and insights, and your pics are pretty cool!